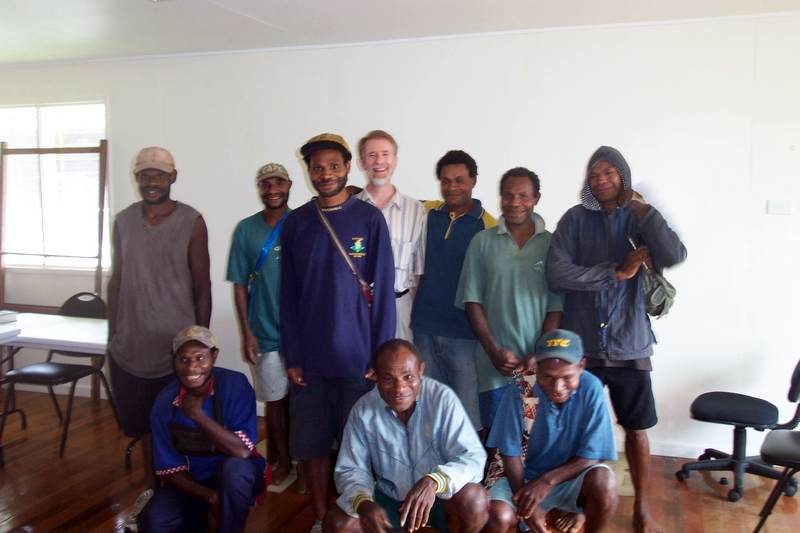 It was just over one year ago, on March 17th, 2010, that I returned to Canada after working with a team of national men in Papua New Guinea on their translation of Matthew. These men are part of what we call “Group Directed Projects”. From one perspective, you could say that their project is currently functioning without having an expatriate (“foreign”) missionary directly assigned to work with them. 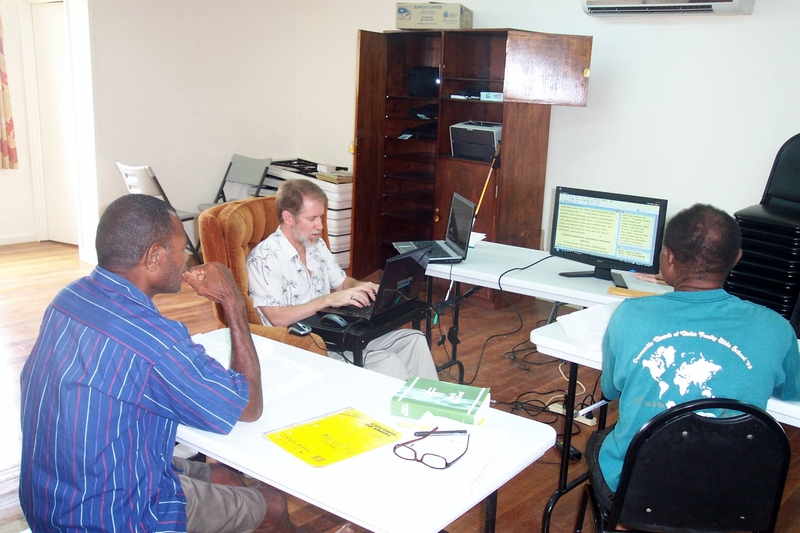 A more positive way to look at it is to say that with some limited guidance and support, national Papuans are working at getting Bible translation and literacy efforts going for the people of their own language. By this I mean that our staff in our Madang office will help train them to learn the principles of Bible translation and literacy. We will also help provide outside Advisors and Translation Consultants to come and look over the text and point out places where corrections or some revisions might be needed to be done. My task last year was to come and work with one team to help them with their translation of the Gospel of Matthew. The man who had been assigned as their translation Advisor was not available, and so I was asked to step in. 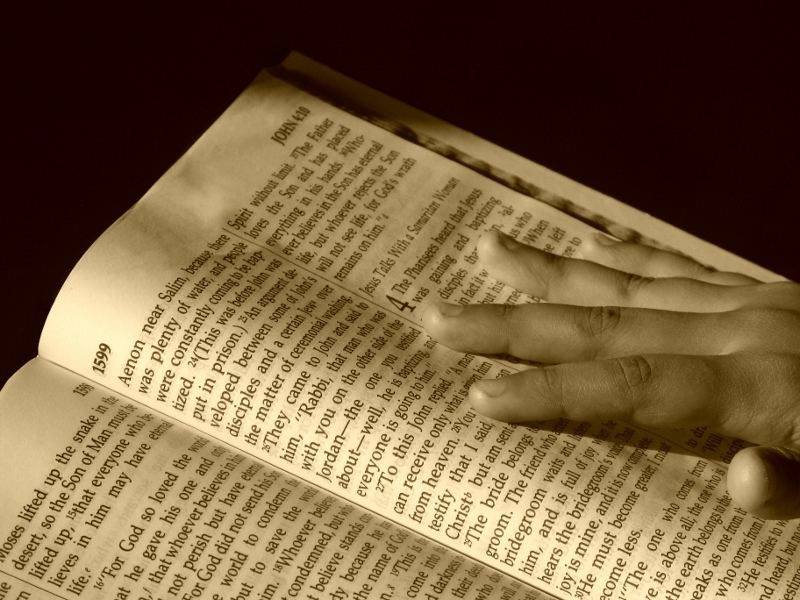 There are quite a few steps involved in the translation process, going from a rough draft of the text all the way to publishing the book of Scripture that you are working on. It would take me a few articles to outline clearly all of these steps, but in time I should be able to write enough stories to help people understand what is involved. Now before I tell you more about the checking sessions that I did last year with the AK language, I must share with you what makes this project very interesting and unique. Most language projects, and especially the ones in Papua New Guinea, can take years if not decades to get the translation of the New Testament entirely rough drafted. But incredibly, the AK language project had a complete New Testament drafted in just over a half of a year. How was this possible, and what does this mean? Well, this project was not begun by a missionary going to live among them like PBT’s other projects, but rather it was started at the initiative of the people themselves. And the key to its quick beginning was the fact that is was closely related to another language which lived nearby, the AR language. 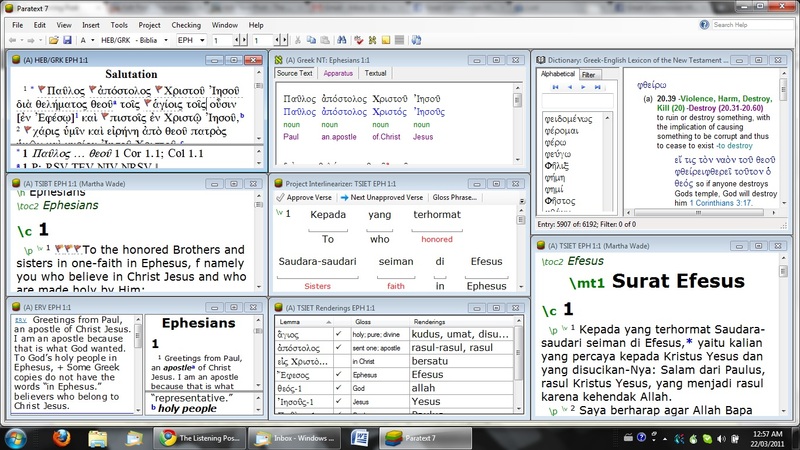 And since the AR language group had recently printed New Testament, it was decided to use a computer program called ‘Adapt It’ to try to speed up the translation for the AK group. That is so cool, isn’t it? But before we get too excited, there in no possible way in the world that we can have a complete one-to-one word correlation between two languages. Sometimes we must try to put a tightly bound word phrase, or a figure of speech through this dictionary filter and the result at the end is anything but comprehensible. So although Adapt-It can produce a rough draft text very quickly, some parts will sound very strange, and other parts will just simply not be understood at all. And that is where I came into the project last year. The AK text of Matthew had been put through the AR filter already, and they saw that there were so many awkward and incomprehensible portions of the text that a second filter pass through was necessary to get a workable text. Then a couple of the men went through the newly drafted text carefully and cleaned it up as much as they could. This made the text ready for me to be able to do some basic comprehensive and exegetical checking on it. To help you distinguish between these two kinds of checks, think of comprehensive checking as asking simple straightforward questions such as “where did Jesus tell Peter to go to find money to pay the temple tax? What did Peter do? Where did he find the temple tax?” These are straight forward questions to help establish the facts of a story. But what about the more complicated questions like “What is the Temple? How much is the Temple tax that every one needs to pay? How did Jesus know where the tax could be found? What was the value of the coin and its denomination? How was this a dire threat to the Roman law and to the Jewish ways and the religious institutions of his day?” These are the kind of questions that need to be asked by either a Language Advisor or a Translation Consultant to see if the translation is accurate, natural and clear. And so for five weeks I worked with the AK people going slowly verse-by-verse in order to identify where there might be some language problems which would then need to be revised. It was tedious work going as slow as we did. In this instance, I was playing the role of being a Language Advisor. There were enough grammar and key term differences between the two languages that we needed to go slowly to ensure we had a good translation. I hope from this short article that you can see some of the challenges I face in being a Language Advisor to a foreign language project. Five weeks to work through Matthew may seem a long time. And in fact, we only got to finish 20 out of the 28 chapters of the book. And so the team’s usual Advisor set up one more session with them to be able to finish it. But praise God, it is now ready to go to the next level, the Consultant check. This Psalm of David has more meaning and significance for me now that I have worked on the book of Hebrews. During the past month, I have been engaged in preparing and in checking Hebrews in the A. language, one of the local languages of Papua New Guinea. I had read Hebrews many times in the past, but this was the first time that I had seriously studied the book verse-by-verse. Sometimes when we are checking Scriptures we may go the other way and instead of getting a good grasp on the big picture or main ideas in a book, we can get lost in the details of checking the meaning of a verse or phrase. And yet, I think that even with our intense scrutiny of Hebrews, it was almost impossible to not get the main thrust of the book. This is very true as one considers the flow of the text from chapter 1 through chapter 10. The author is very methodical, but very clear, that we are to see just how great Jesus is, our Mediator, our High Priest, our once-for-all sacrifice for sin. From the cosmic (Jesus is better than the angels), to the simple (he shared in our humanity), from the earthly (from the line of Judah) to the heavenly (a great high priest forever), Jesus is the One through whom we can go to come into the very presence of God. Holy Spirit, show me any areas of my life that are hindering my prayer life. I desire to enter in with a pure heart! –by Sandra Higley, author of A Year of Prayer Events for Your Church; Taken from an article that originally appeared in Issue 19 (July/August 2000) of Pray! magazine. But praise be to God, when Jesus offered himself as a living sacrifice, even though he had done nothing wrong, had never sinned, “by one sacrifice he has made perfect forever those who are being made holy.” (Heb. 10:14) We are no longer under the old regulations whereby we deal with sins temporarily, but we are assured of eternal forgiveness. And that gives us the great assurance that yes, indeed we can come into God’s heavenly sanctuary and worship Him. Isn’t that good news? Yes, in fact it is fantastic news. What we could never achieve on our own, Jesus has accomplished by dying on the cross and moving aside the barrier that once had separated God from mankind, and mankind from God. Now we can come before the King of the Universe, bow before Him and worship Him, knowing that our sins have been dealt with, and we are found acceptable in God’s eyes. Working Hard For God….And Loving It! You know that expression, “There is no rest for the weary”. Well, since I still have a couple of days left here in Papua New Guinea, the Branch Language Director and I determined that we should capitalize on this limited time we have together. So she showed me some new ways to use my computer tools to advance my abilities to do consulting work on Bible translations. That certainly is a lot of work in itself, but to have to constantly change which program I need to look at, well, it is not only tiring, but I can find myself getting lost and asking myself, “Now what was it I was going to check?” I desperately needed a new way to get myself organized and to boost the power of the main programs I really should be using to assist the translation of Scriptures into multiple languages. So after I got a feel for the power of this program, the language director gave me an assignment to see if I could figure out how to use all this to help in my translation checking work. She told me to find the Key Word for ‘Lord’ in Acts and Ephesians for this language that I had never seen before. She wanted me to see if the text had a standard translation form, and to examine if all occurrences of the word were translated in a consistent manner. The Greek for ‘Lord’ is “kurios” and after just a few clicks, I had found that this word is used 133 times in the two books. By looking at the suggested analyzed text, I saw that this Greek word is usually translated as “Tuhan”. Then I used the Key Term consistency check and I found that there were 22 places that I did not find “Tuhan” in the vernacular text. Looking at each of these 22 places, I saw that sometimes ‘Lord’ was used of earthly masters, or were a title of respect. It would be like saying, “Sir”. This narrowed things down and I found that in only 12 places was there a possible concern as to whether they had translated this Greek word well or not. And I was able to do all this in less than 2 hours. WOW!!! I now know some good ways to check key biblical terms and phrases from the Greek and cross-check a language I’ve never seen before. And it was so quick. It is like the difference between having a dial-up internet connection versus a high-speed DSL or satellite connection. THIS IS SOOOO COOL!!!! So let’s see, I just finished on Friday an 8 month project of checking 5 books of the New Testament that included working with three different languages here. And now I am possibly going to be set up to check parts of three other language projects over the next year, one of which will be in another country of the world and be done by internet Skypeing and email note transfer. So between completing the last major assignment and now sort of starting this new assignment, I got, hmmm…..one day off. LOL. But that’s okay. Working on languages for me is like giving candy to a kid. I can hardly wait to really sink my teeth into this next assignment. But back to reality here. I do need to get packed up as I leave tomorrow and start my long 4 day trip to return from Papua New Guinea back to Canada. This has been a great two months here in PNG. And I want to thank everyone who has been praying for me and Jill. God’s Word is going forward in many local languages here, and I am glad that we are able to play a part in seeing that this work is being done. Becoming a house of prayer is far more than adding a prayer meeting to an already hectic church calendar. 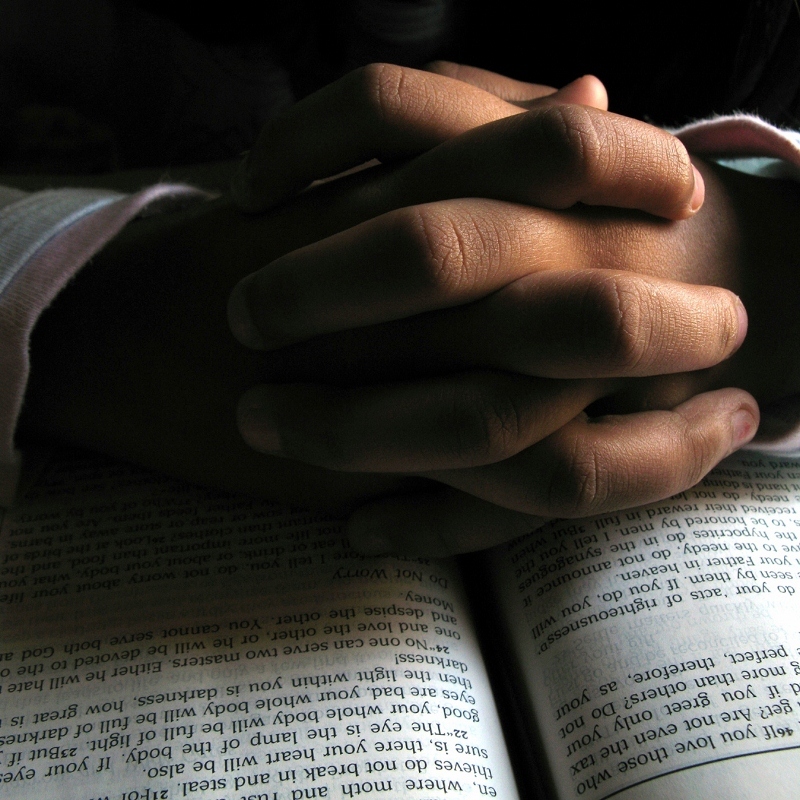 It is a church in which prayer has become pervasive in all aspects of church life. Leaders and members of the congregation cannot imagine prayer not being a part of everything they do. The local congregation that begins to move toward becoming a house of prayer is changing more than methods and techniques. 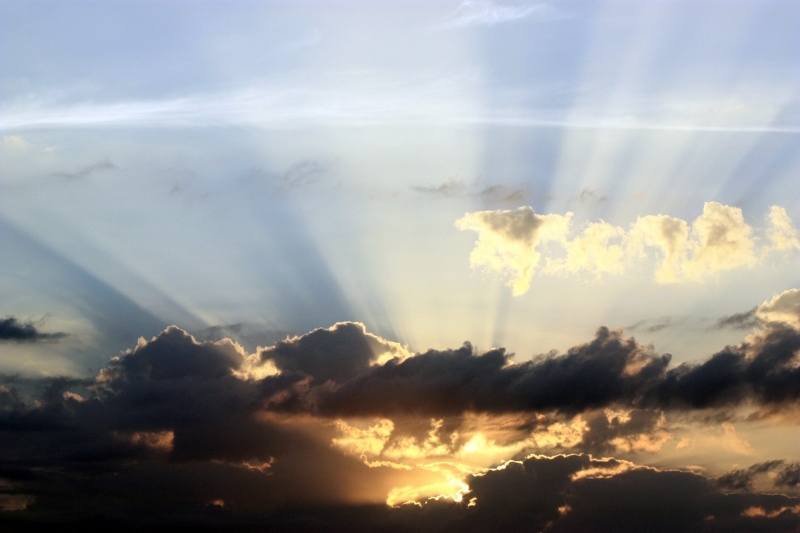 It is honoring the Lord by turning to Him first and by depending upon His power and might released through prayer. There is a spiritual dynamic that is unleashed within the body that cannot happen in any other way than through God’s people bringing everything to the Lord in prayer. Lamb of God, teach my congregation to become a house of prayer and pour out Your power in our midst. Show us how to infuse every aspect of the life of our church with world-changing intercession! Fill our leaders to overflowing with wisdom and discernment as they focus upon prayer and the ministry of the Word. May we stop our strategic planning to win the lost through our own programs and committees and instead become dependent upon the leading of Your Spirit. We long to do nothing apart from You as You build us into a true and faithful house of prayer for all nations! This devotional thought prompted a number of my own thoughts about my own prayer life. And there are some things happening right now that show me how timely this devotion is. Which really shouldn’t be very surprising. I have found time and time again, that the voice of God is not some loud and dramatic event, but rather He is found in the quiet things, the times when circumstances and a portion of His Word seem to come together at just the right time. No, for me, I have seen that what many people would write off as being simply “coincidental”, is in fact a sure sign that God’s hand is in our affairs. As they say, “It’s all in the timing”. God is never early, nor is He ever late, He is always right on time for getting accomplished what He wants done. The question is whether or not we have our spiritual antennas up so that our eyes truly see and our ears truly hear what God is telling us to do. For me, I have been feeling a desire within my soul to become more of a man of prayer. For too long I have had my eyes fixed upon myself and my health issues, and the more I did this, the smaller, the weaker and the more defeated I felt. Then God used some people in my life to prompt me to start this blog. At first it began as a means to tell my story to others, which has been fun and therapeutic to my soul. But it wasn’t long before it became something else. As I would begin to think about what to write, God would impress upon me the need to write stories that would be of great encouragement to others, to be a real blessing to people who needed a boost for the day. And so I began to pray more about this each day, and throughout each day. And I find now that there are days that I don’t know what to write about, but God shows me something and I just know He has someone in mind that is needing to hear this story. The next thing the Lord has done to open me up to deeper praying is He led me to discover an online prayer group called Great Commission Ministries. Actually, one of my FB friends added me to the group, and then I found out what the group was all about. And I quickly saw that this group of Christians is really serious about praying “in all seasons for all things”. And so I find myself every day being in a prayerful attitude both about what I can write to encourage another person, and I carry in my heart the needs of those whom I have read about on GCM’s Facebook page. I had no idea four months ago when I started asking God, “How can I make prayer more of a daily reality and priority?” that He would open these two doors of ministry that I can do right from my living room armchair. As I am beginning to discover, prayer is not an activity that we mark down as a scheduled event in our day timer. Now don’t misunderstand me, there is a great need to set aside group prayer time on a regular basis. But prayer needs to become the air we breathe, shaping every thought that our mind thinks, and an attitude that prompts us to speak with our Father in every situation we encounter. So how about you my friend, is it time for you too to pursue a lifestyle of pervasive prayer? I pray that you will, and I really mean that. May God bless you as you walk in faith with Him. Amen. In the last two articles in this series, I talked about the great times I had being a part of Teen Mission’s Fall Travel Team. You can read about them here. That three-month period of traveling from city to city, church to church, home to home and presenting the outstanding ministry of Teen Missions International was such a great experience for me. It helped me to grow up, being away from home, and it taught me a lot about trusting God. In fact, the experience was so great, that when our team returned to Florida again, and I was approached by the TMI staff about the idea of coming back, joining the Staff and going on a one-year tour (which would include being an assistant leader on a summer team overseas), I knew immediately that was what God would have me do. And so I became a member of the 1980 TMI Staff Travel Team. What is interesting about this team is that it was the first time TMI had decided that it would have a full-year travel team. So that made it unique. But even more so was the fact that our team was truly an International team. Of the seven members on the team, five were American, one was Mexican and I was the Canadian. And although this brought out some cultural differences from time to time, it was wonderful to see that our unity in Christ made us one family, regardless of our origin of birth. East Coast Tour: After some training and orientation in January of 1980, our team went up the east coast of the States. We toured through Georgia and the Carolinas, we went though Virginia and managed some sight-seeing in Washington, DC, and did a number of presentation in Pennsylvania. We lost count of how many churches and schools we visited in that three-month period. Boot Camp Work: By May, we all had to be back in Florida to help get the Teen Mission Boot Camp ready. You can read about the fascinating training that TMI gives to all its teens and leaders in my article “Get Dirty for God!” But before the teenagers can get dirty in the Everglades swamps, our job was to fight back the undergrowth again, set up tent areas, erect the big top tent, repair Greyhound buses for their pickup routes, and much, much more. Summer Mission Team: So now that the “Lord’s Boot Camp” was ready, close to 1,500 teenagers and leaders descended upon our camp in Florida and trained for two weeks before being commissioned into the mission field to about 50 different summer projects in about 30 different countries. I was assigned to be an assistant leader on a team to Honduras. At the time that we went to Honduras, I was only 19 years old. 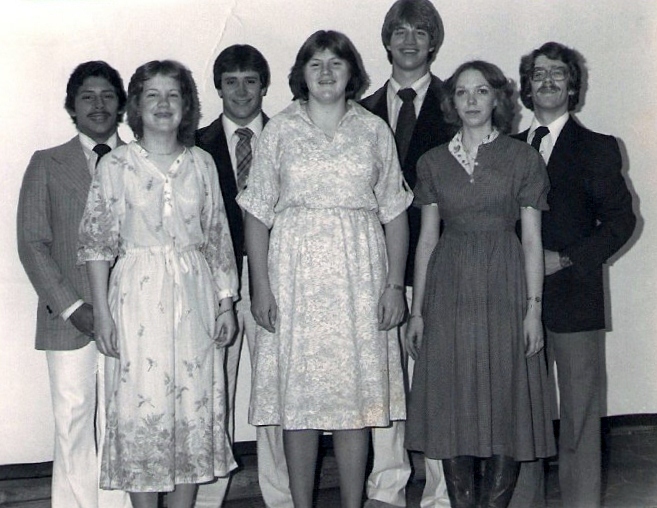 And here I was, along with four other leaders, taking charge of about 20 other teenagers to build an extension wing to a small, rural mission hospital that was a concrete block building that had about 20 beds for patients. An appeal had been sent the year before for Teen Missions to help enlarge the facilities. The location of the mission was quite a few hours up into the hills away from the nearest city. So there were always way too many patients for this clinic to manage, and after a procedure, or during recovery days, the poor patients were housed in a run-down building, with grass and bamboo beds and dirt floors that crawled with all kinds of bugs and critters. You know, it is amazing what teenagers can do, if they are given the challenge to reach out to others beyond themselves, and are given some good guidance and leadership. So in about 5 weeks of hard work, mixing concrete with shovels, laying sun-baked bricks for walls, and building trusses according to a blueprint, we were able to double the size of this rural clinic. What joy and pride we all felt when the last nail was pounded and the cement sidewalk was poured. West Coast Tour: Once our summer overseas mission teams were finished, our Staff Travel Team gathered back together in Florida. Then we set out in September for our two month tour which took us up into the Midwest of Missouri, Illinois and Kansas, over through the arid states of Nebraska and Wyoming, and ended with presentations in California. Good Ol’ Scotland: to round off a very busy year, our team headed over to Scotland. Unfortunately due to a serious family health matter, one member did not go with us, so only six of us went on this last part of our TMI experience. Teen Missions had an old estate there (purchased for very little due to being run down) where they were starting to train European youth each summer. Our main job there was to repair the rotting roof of the one building so it would not fall apart over the winter. (Have you ever tried working on a corrugated roof in near freezing temperatures with a constant daily drizzle? Yikes, it was dangerous, but no one got hurt.) In a month it was all done, and then time to head home. We all said goodbye to each other at Heathrow Airport in London. But we have kept in touch with each other. And in fact, we just got together last summer for our 30 year reunion. But that my friends, will have to wait until another day to tell that story. To be able to understand this phrase, we need to try our best to understand the meaning of the Greek in the original setting. After we have understood the context within which this phrase was spoken, then we need to seek out what the message is for us today and apply the message to our everyday living. This may seem to be too great of a challenge for some people, but it need not be so if we apply some basic Bible study principles. First, we need to look at the word or phrase itself. One quick and easy way for people to do this is to take multiple translations and compare them to each other. We are fortunate to have many English translations today. In this instance though, after looking on the site www.BibleStudyTools.com , and searching for comparisons of this phrase, I found all 28 English versions use “in winter” and I’m fairly certain the French, Spanish and German translations do as well. So then I turned to a good Greek Lexicon, a tool where you can look up the basic meaning of Greek words used in Scripture. My favourite lexicon is Louw & Nida’s “Greek-English Lexicon of the NT Based on Semantic Domains.” That’s a fancy way of saying, what is the central meaning of a Greek word as compared to other Greek words which have similar usage and meaning? In this case, we find that there are two closely related ways to translate the Greek word here, either as “winter” or as “bad weather”. I checked six different translations of Mt. 24:20 into Papuan languages to see what they did and I found that it was an even split with three of them translating “winter” as “the time of cold” and three of them translating it as “the time of rain/wind”, i.e. “in the rainy season”. Each translation took into account the “general meaning” of the Greek word and applied it to their culture in appropriate ways. Interestingly, every one of these Papuan translations clearly kept the Jewish cultural aspect intact when they referred to “or on the Sabbath”. They translated this as “Sabbath” (i.e. just borrowed the word), or “Jewish day of rest / Jewish day of praying” (i.e. the concept of Sabbath). So whereas “winter” can be translated and interpreted according to a variety of local cultures today, the “Sabbath” is a Jewish specific cultural idea and must be preserved carefully in all translations regardless of local culture today. Now, another important step in good Bible study practices is to look at the biblical context that surrounds a given verse. Matthew 24:20 is found within the context of Jesus’ answer to the disciples regarding the signs of when the temple would be destroyed, as well as the larger context of chapters 24 and 25 that speak about followers being ready for Jesus’ return at the end of time. “The last of Jesus’ major discourses in this Gospel is largely concerned with judgment and the conduct expected of the follower of Jesus in view of the coming judgment. There is a problem for the student in that sometimes what Jesus says refers to the coming judgment on Jerusalem, a judgment that was consummated in the destruction of the city in A.D. 70, and sometimes what he is saying refers to the judgment at the end of the age. We may well argue that there is a theological unity between the two judgments, and that some of what Jesus says could apply equally well to both. The first of these is a judgment that followed the rejection of Jesus in his earthly ministry, and the second is the judgment that will follow the preaching of the gospel throughout the world. But we should not approach these chapters with the conviction that everything in them applies to only one of these judgments. The intermingling of prophecies referring to the events leading up to A.D. 70 with those applying to the end of all things makes this discourse particularly difficult to interpret. And so this brings us to the third important principle of good Bible study. To summarize all that is above, the first question to ask is “What does the text say?” The second is, “What does the text mean?” And now thirdly, “What does this text say to me today?” In other words, what is the message that is God’s message for all people of all times, and how do I apply this message to me today? We know now that Mt. 24 and 25 are dealing with God’s coming judgment. At one level it was a message for Jews of the first century, but it is more importantly (within the larger context) a message to all people to be ready for the time when God will put an end to time itself and His Son Jesus will come back to judge all people, punishing those who are not his true followers, and rewarding His true people with the blessings of an eternal heavenly banquet. Back to Mt. 24:20, one more specifically first century aspect is that since the Jewish people would not know when this disaster would come, just the fact that it was coming, they were to pray that there would not be any extra difficulty to face on that day such as bad weather or a day that was religiously and ceremonial guarded as the day of rest.